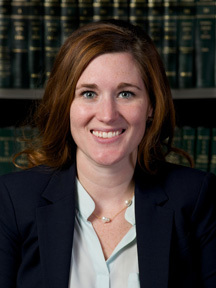 Ms. Laborde is an associate, practicing oil and gas and commercial litigation. Ms. Laborde attended Harvard Law School, where she was an editor or the Journal of Law and Gender and a member of the Harvard Legal Aid Bureau, the oldest student run law firm in the country. Ms. Laborde interned for The Honorable Martin L.C. Feldman of the United States District Court for the Eastern District of Louisiana. Prior to joining the firm, Ms. Laborde practiced commercial litigation and clerked for The Honorable Kurt D. Engelhardt, also of the United States District Court for the Eastern District of Louisiana. Ms. Laborde attended Washington University in St. Louis, majoring in English and Spanish with a minor in Anthropology.